While he may currently be serving as our president, at the end of the day, Donald Trump is still a businessman. 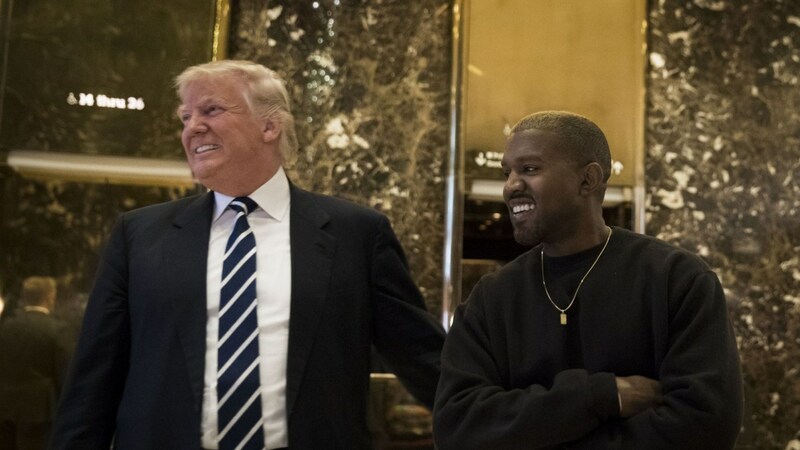 After Kanye West returned to Twitter earlier this month, he was quick to remind fans that although he has been relatively mum the past year and change, he hasn't changed his mind about supporting Donald Trump. In addition to thanking the rapper amid his controversial tweet storm, Trump has also decided to take advantage of the free publicity and use it to raise funds for his re-election campaign. As reported, after Trump appeared on Fox & Friends earlier Thursday (April 26) to thank West for "having good taste," the Trump Make America Great Again Committee sent out a mass text to its donor list, referencing the rapper by name. "The American people do not want to be told what to think or who to support," the text reads, continuing on in the tradition of West's Twitter. "Group think is a mandate in today's society and when a free thinker like Kanye West speaks truth, they attack him. We support Kanye speaking his mind, even if sometimes we do not agree on the issues." 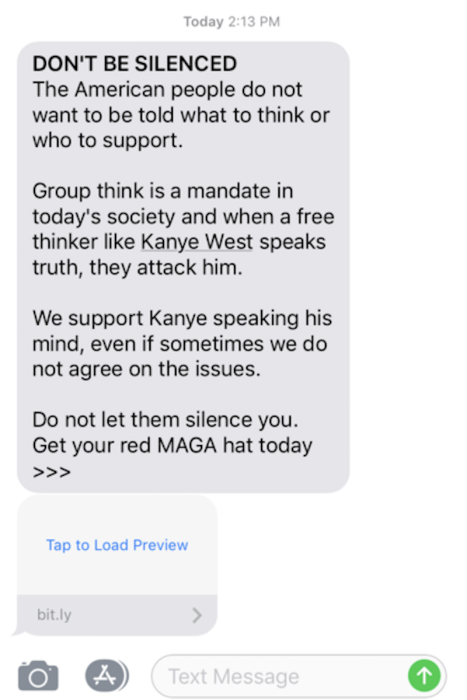 After the message, a link appeared for recipients to purchase a MAGA hat, a signifier of support that Ye himself has begun happily sporting on multiple occasions. While his fans may still be begrudgingly defending him online, West's latest Twitter rampage represents how, much like John Legend reminded him earlier in the day, his actions do have consequences. And in this instance, those consequences directly correlate to potentially helping bolster Trump's re-election efforts.